Chevrolet is targeting anglers with their new Captiva and is offering a free test drive to anyone who wants to put its new SUV (Sports Utility Vehicle) to the test. Forget any images you might have of an American gas guzzler. The Captiva may have the chunky appeal and bold styling of the world’s best loved SUV brand, but it also comes with a state-of-the-art Euro 4 diesel engine, offering a great combination of fuel economy and refinement. 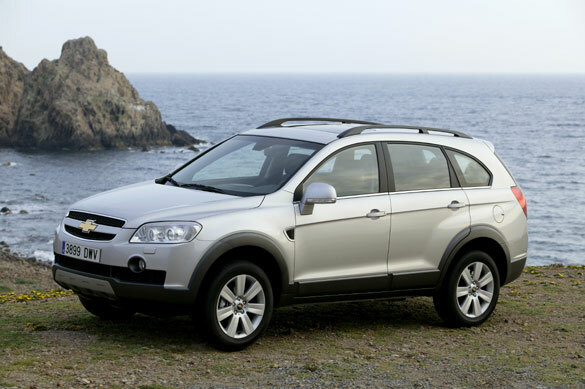 As well as incredible value for money – the Captiva starts at £16,995 on the road for the 2.0 litre diesel version – the Captiva offers the option of seven seats. It’s a package that no other manufacturer can offer at this level – in short it’s the best value seven-seater on the market. For the angler, all of the back seats fold down to create masses of room to transport all that gear to the bank, and for those off road excursions the Captiva boast All Wheel Drive on demand. This clever system, fitted as standard to the diesel models, brings in the all wheel drive automatically only when needed to ensure optimum traction at all times. It’s also a robust and very safe car, with a body shell made from high strength, bake-hardened steel to offer a high level of accident protection; crumple zones all around to absorb crash energy and side-impact bars on the front and rear doors. Total-Fishing.com editor Gareth Purnell really put the Captiva through its paces as he took the Captiva LTX 2.0 VCDi Manual to the recent World Championships in Hungary. And it came through with flying colours. “I used the Captiva for two weeks and certainly tested it. 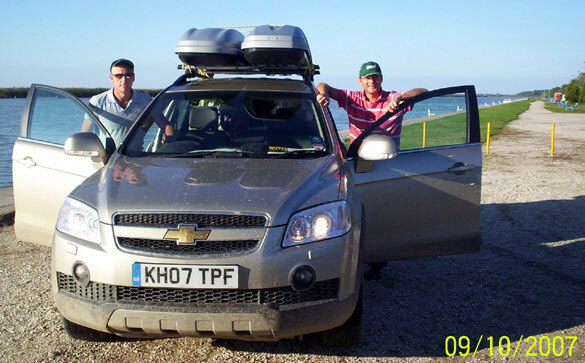 The car had to take three match anglers with the ridiculous amount gear you need for an international competition, plus cope with a 2,500 mile round trip. 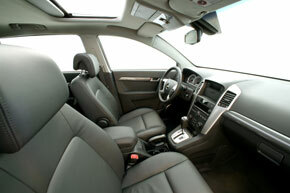 “The seats fold down into any number of combinations and with a high roof you can get masses in. 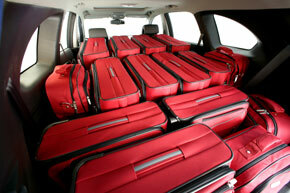 With the back seats and passengers seats down you have almost nine feet in length of loading room. “I was very impressed with the ride, the handling and the interior, including the space in the front, all of which made a long journey much less tiring than it’s usually been in the past when I’ve driven to far-off venues. It drives like a luxury vehicle. “I was also pleasantly surprised with the fuel consumption which was much better than I would have expected in an American SUV. Specifications: On demand all wheel drive; 18 inch alloy wheels; air conditioning; heated front seats; glove box cooling compartment; central locking; ABS; ESP; front fog lamps; hydraulic brake assist; descent control system; remote central locking; power assisted steering; glass flip tailgate; automatic lighting control; rain sensitive windscreen wipers; cruise control; full leather trim; multi function trip computer; three year warranty; three years’ AA cover.